Canvas bag, essential for everyday shopping as it is reusable. The bag has long straps, allowing you to use it as a handbag or a crossbody bag. 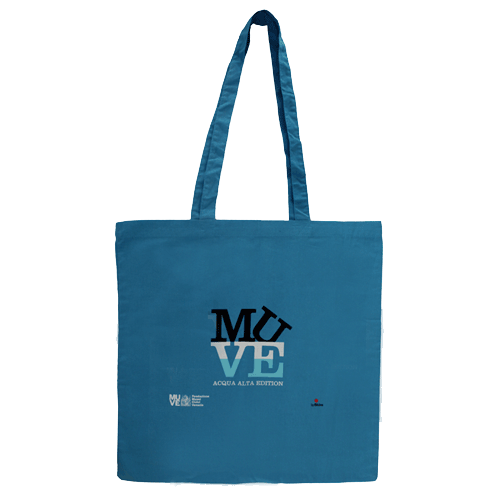 This tote is available in two different versions: light blue nackground printed with “MUVE acqua alta edition” and white background printed with“Art MUVEs your brain”. Shopper in cotton with long straps. Dimension 45 x 45 cm.